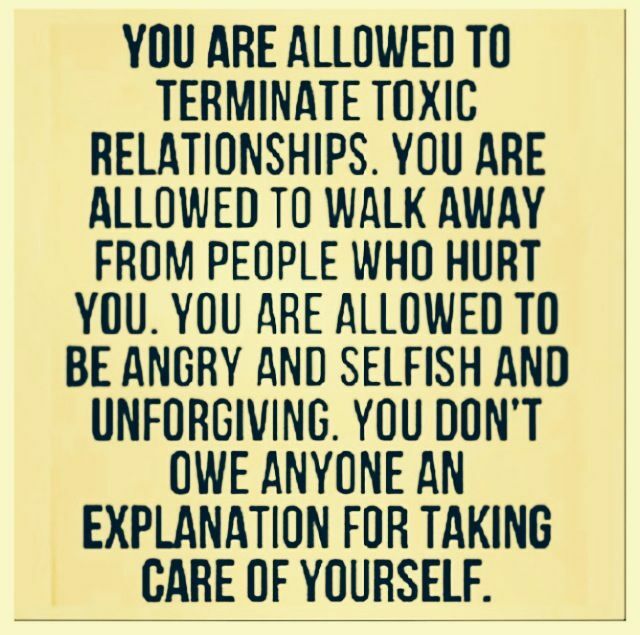 You Are Allowed To Terminate Toxic Relationships! Here’s the thing, I truly believe we all need to forgive everyone. Do you? The trick is to forgive without leaving the door wide open for destructive forces to stroll right back in and mess with your life. If you are in a toxic relationship, you know it. No relationship should feel like a struggle from day to day punctuated by small highs to justify the plummeting lows. THIS post might help you. If you are around lots of passive aggressive people (maybe at work?) you might find THIS post helpful. it’s especially helpful to realize that it’s passive aggression, not kindness, that is making you confused. It’s very confusing when someone smiles at you while they stab you in the back. And if you find yourself unable to break the cycle of finding more toxic people to replace the ones you just moved away from, a great therapist is always a good move. Along with that, try some ritual to release the past so that you aren’t leaning on it as a template to create the future. THESE three forms of energetic release are awesome. Previous post: 7 Feng Shui Cures For A Headache! Next post: How To Get Over An Internet Hangover!